The Ricoh Women’s British Open is one of the golfing highlights of the sporting calendar with the 41st Championship making its debut appearance at the iconic Kingsbarns Golf Links, Scotland. Since 2001 Kingsbarns has co-hosted the European Tour’s Dunhill Links Championship along with the Old Course at St Andrews and Carnoustie however this year will mark it’s first hosting of a major of any kind over four memorable days from the 3rd – 6th August. As one of only two women Major’s played outside the US, the Ricoh Women’s British Open is the most international field of the year with the 2016 line-up boasting players from 29 different nations, including 17 of the world’s top 20 on the Rolex Rankings. The field for 2017 will be equally as strong and will include the likes of reigning champion Ariya Jutanugarn, the youngest ever world No. 1, Lydia Ko, Americans Lexi Thompson, Michelle Wie, Stacy Lewis and Paula Creamer as well as past champions Inbee Park, Yani Tseng and Mo Martin and UK favourites Charley Hull, Catriona Matthew and Dame Laura Davies amongst others. 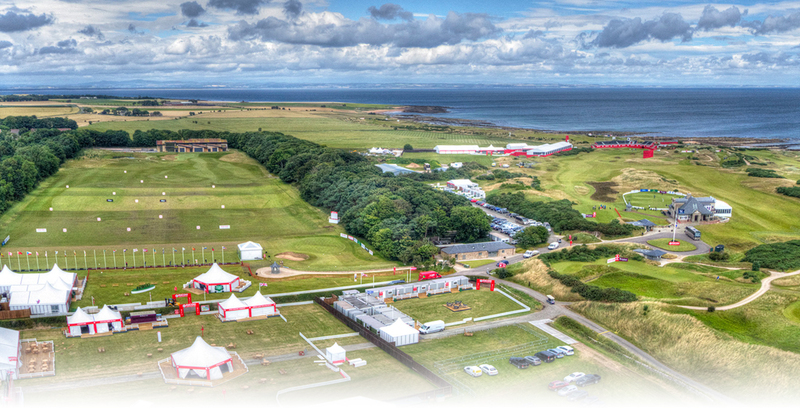 Along with the superb golf on show at Kingsbarns, spectators will find the perfect opportunity to relax and savour the atmosphere when not out on the course; the Championship Village will host a number of exhibition and retail units, interactive activities and public catering facilities for the whole family to enjoy. The 2017 Ricoh Women’s British Open is all set to be another fantastic tournament so please take the opportunity to watch the world’s best women players showcasing their talents when the Championship gets under way on Thursday 3rd August. In 2017, Kingsbarns Golf Links will play host to its first-ever major championship when the Ricoh Women’s British Open takes place there. One of five majors on the women’s professional golf calendar, the Ricoh Women’s British Open is also the only one to take place in the UK, with three of the others in the USA and another – the Evian Masters – staged in France. In the time since then, it has been played across seven different courses and been won by players from eight different countries, including Australia, Mexico, South Korea, Taiwan, the USA and, in 2007, Scotland. By the time 2017 rolls around, the championship – final qualifying for which was held at Kingsbarns in 2013 – will have been played in Scotland, the home of golf, on five separate occasions: once at Carnoustie, twice at Turnberry, and a further twice at the Old Course in St Andrews. “The prestige of the Women’s Open is growing every year. More importantly, seeing the very best lady golfers competing over the Kingsbarns links should be very exciting. Meanwhile, Art Dunkley, the owner of Kingsbarns Golf Links, described the invitation to stage the event as ‘the greatest accolade’ the course and its facilities have enjoyed since opening for play in 2000. Simon Sasaki, the Corporate Executive Vice President of Ricoh Company Ltd,added: “We have been the title sponsor of the Ricoh Women’s British Open since 2007 and one of the many attractions of this historic tournament is bringing the players, fans and our clients to the many wonderful venues that the LGU and IMG have secured to watch world-class golf. The profile of women’s professional golf is on the up, too, with talented young players – such as Lydia Ko and Charley Hull – taking the battle to more experienced players, including Paula Creamer, Yani Tseng, Michelle Wie, Stacy Lewis and Inbee Park. Taiwanese golfer Tseng, incidentally, is the only golfer to have successfully defended the Ricoh Women’s British Open since it became a major championship. Prior to that, American duo Sherri Steinhauer (1998, 1999) and Debbie Massey (1980, 1981) also won the title back-to-back. Steinhauer and Australia’s Karrie Webb are tied for the most victories in the championship since it was inaugurated in 1976, with three apiece. Again, since it became a major, South Korean golfers have had the most luck in the championship, winning it a total of four times. That’s one more than golfers from the USA.